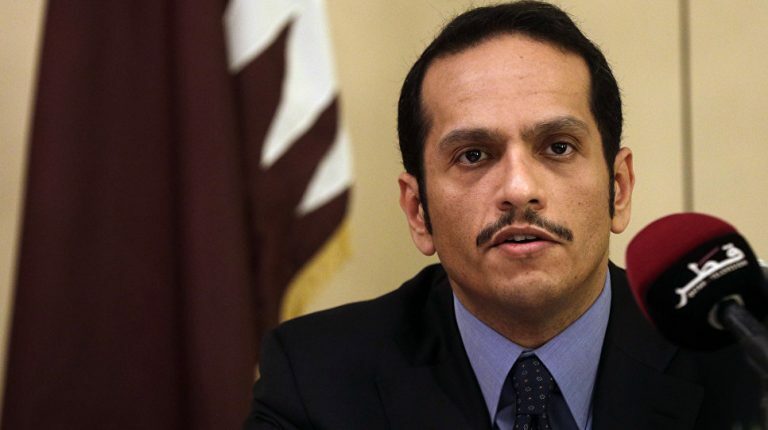 Qatar’s Minister of Foreign Affairs Mohammed bin Abdul Rahman Al-Thani called for an effective arms embargo on the National Libyan Army (LNA), led by Khalifa Haftar, and the withdrawal of LNA troops from areas it has recently controlled. In an interview with an Italian newspaper La Repubblica on Tuesday, Al-Thani said he was satisfied after his French counterpart told him that Paris was working on holding a previously planned national reconciliation conference in Libya. He referred to Saudi Arabia, the United Arab Emirates and Egypt, the three countries that cut ties with Qatar in 2017 as the main supporters of Haftar. Al-Thani’s comment is the first official response from a Qatari official to the Libyan crisis. Qatar said that Saudi Arabia, UAE, and Egypt are supporting Haftar, while the later accuses Qatar of supporting his Islamic rivals in the west. Moreover, the Qatari minister wrote in a tweet on his account on Twitter that Haftar’s movements hinders the international efforts for holding national dialogue. “The maneuvers of the militias led by Haftar in Libya are primarily hindering international efforts to achieve national Libyan dialogue,” the minister claimed.